The first of April is the first day of the Japanese fiscal year and the traditional moment hundreds of thousands of new university graduates begin their working lives. All sombrely dressed in black suits (dark grey being considered a little too ostentatious) they could be seen on the streets of Tokyo this morning heading for their inauguration ceremonies at the company where they may well spend the rest of their working lives. This year appears to mark a shift in market conditions towards a sellers market. For the past several years recruitment has been on the decline however the post-war baby boomers are now in their mid sixties and are retiring in droves. Japan Inc needs to bring in new blood. Toyota is taking on some 1,500 and ANA over 1,000. In a bit of a stunner even TEPCO is taking on 700. But for me the most poignant moment came in the days before this 21st century right of passage. At the ripe old age of 117, Misao Okawa neatly arranged her geta by the door for the last time and quietly slipped away. 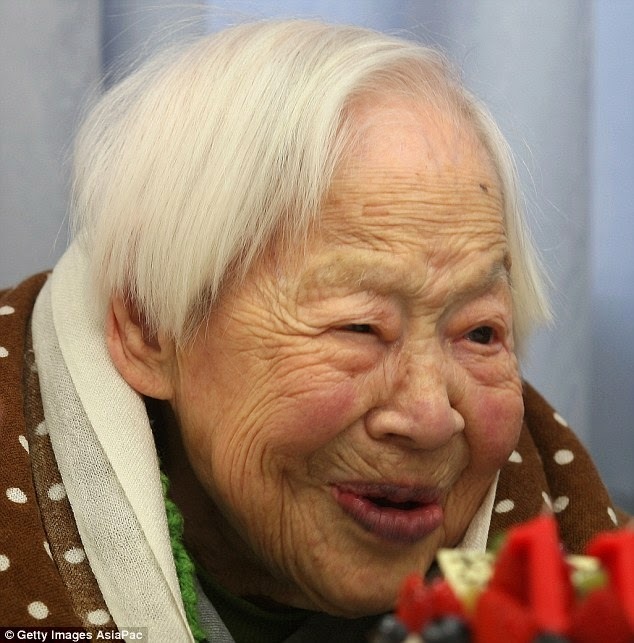 With her passing, the next oldest person in the world is a mere 112 and coincidently also resides in Japan. But, if you think about it, this means that the last living person to be born in the 19th Century has taken their final bow. Farewell Okawa-san, I trust you had a good innings.